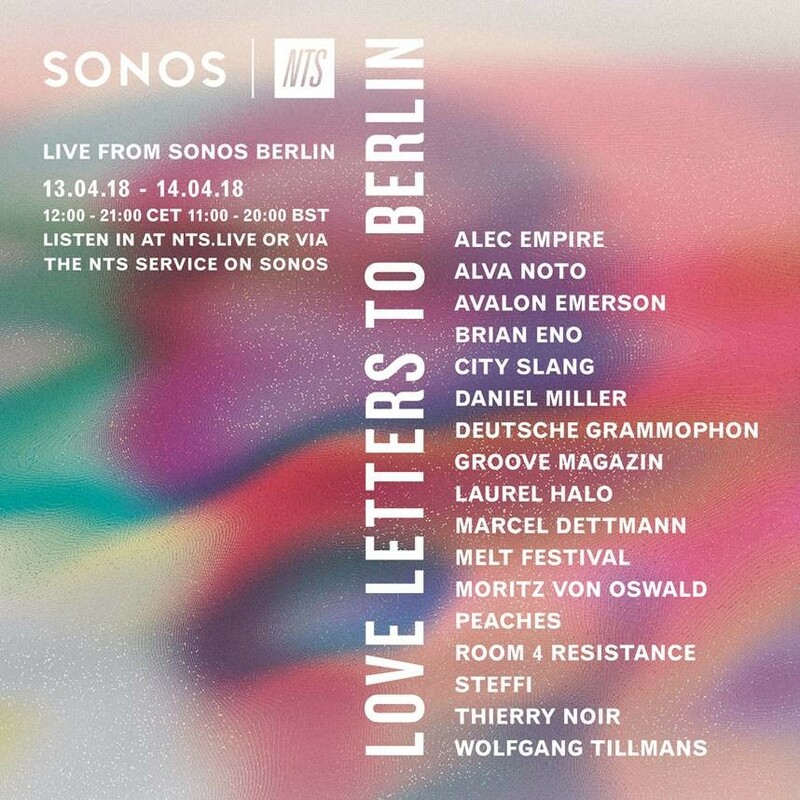 NTS and Sonos present 'Love letters to Berlin' - a full weekend of programming celebrating the continued cultural heritage of Berlin. Tune into Brian’s programme at 8:00pm - 9:00pm (EST) on Saturday 14th April. Or catch it on demand on NTS the following month. The programme will cover Brian’s work in and connections to Berlin, as well as sections talking about his installation music and his upcoming box set.